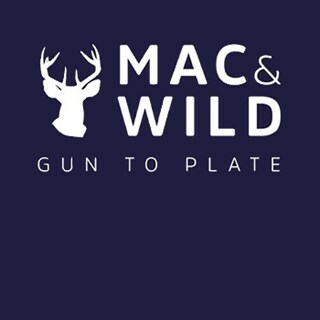 Mac & WIld Devonshire Square's Virtual Shooting / Gun Room transports you to a shoot in the Scottish Highlands. Guests can practice their shot with a state-of-the-art virtual shooting system whilst the rest of the team relax, play dress up in tweed and enjoy whisky and cocktails served by the Mac & Wild loading lads and lassies. The Gun Room, located on the lower ground floor of Mac & Wild Devonshire Square, is available to book on an hourly basis (£60 per hour). Price includes room hire and a loading lad or lassie to guide you through the shoot / targets – and serve you your drinks…of course! Rachel and her team were extremely attentive and accommodating. Our clients and colleagues had a fantastic evening and we have already recommended booking again. Fun and something different to do. Really great way to spend a few hours, food amazing, drinks great, although a touch on the pricey side, and the shooting was brilliant fun! The virtual shooting was amazing! We will be back! Honestly would recommend Mac and Wild to anyone! We were a group of 9 and had such a brilliant time, the staff were so friendly and welcoming and were always on hand to help if needed. The atmosphere was great as was the overall experience! Thank you very much, we will be back! It was a fun day, however the food was very overpriced for what you got. Was a very nice atmosphere, treated well, though would’ve like a bigger range of guns to play with for different modes, and it was a lot of money for one hour for 2 people. Neither the waitress or menu told us our order came with chips. So we offered 2 extra sides which we didn't need. That said, the venison was cooked to perfection. Fitting three ranges in downstairs has reduced the seating which makes eating very difficult with a group of any more than four. Great fun, great service. Will be back again soon! Visited Downstairs at Devonshire Square on Saturday. Booked online at 11:30 for a 1 hour shoot at 4pm. The staff had trouble locating our booking which alone would be fine but highlights a poorly run bar. Glasses were warm. At £70 an hour it is quite expensive and when you are told told to prepare to leave 40 mins in and again 6/ 7 mins later you feel more like a cash cow than a valued patron. The last gent who asked us to prepare to leave citing that he had to clean up for the next group rudely should really know better. Not sure he realises he works in hospitality. My advice to anyone considering this activity would be don’t. Good night out, the shooting was ok but not many options for shooting in pairs. We figured out for ourselves that we could do the clay's in pairs which wasn't explained to us. A decent night out but pricey.